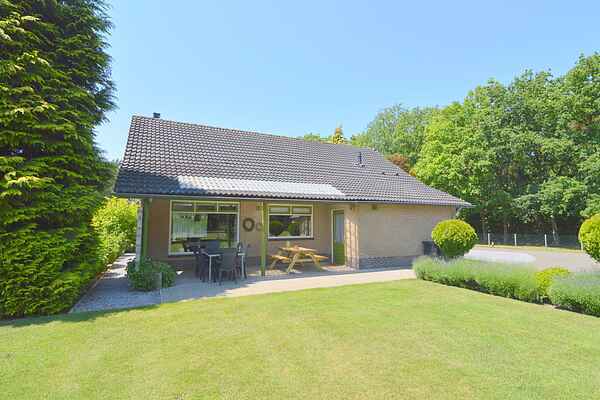 Holiday home de Leeuwerik is a charming, cosy, detached house on the countryside, 4 km south of Valkenswaard and 2 km from the Belgian border. In the heart of the Kempen in Brabant. You'll be staying between the nature reserves Malpie and Leenderbos/Groote Heide. Here you will find peace, space and privacy. You can relax and enjoy the surrounding nature. In the garden and on the playground, children can play to their heart's content. It's an ideal place for those seeking peace, hikers, cyclists, nature lovers and families who just want to escape the crowds. Within five minutes, you're in the woods. In the immediate vicinity of the house, you can find numerous hiking and biking trails, mountainbike trails and bridle paths! The house stands on a plot of 7000 sqm, consisting of a garden, a playground and a forest. The grounds are completely fenced and feature a large parking space and a lockable bike shed. Valkenswaard has a lively centre with many nice shops, cosy restaurants and outdoor cafes. Every Thursday, there's a weekly market in the centre.